Concluding Content Nigeria’s month-long celebration of women in the Nigerian TV business, we profile Funmi Adenaike, general manager of Play TV. Over the years since she launched her career in media, Funmi Adenaike has proven to be a dedicated, tenacious go-getter who pushes boundaries in everything she does. Beginning her career as a relations manager at First City Monument Bank, despite obtaining a degree in law, Adenaike veered into the media industry few months later. She started working at Hi Media, acting as the channels acquisition manager for its subsidiary Hi TV. After spending five years at the now defunct company, Adenaike joined Cellcast as business development manager and ensured the smooth sailing of the company by helping it to acquire content. In 2013, after two years at Cellcast, she joined Africa Media Distribution (AMD), continuing her career as a business development and content acquisition manager. Her law degree was put to use at AMD when she became part of the firm’s legal department. In 2015, Adenaike joined Continental Satellite (ConSat), becoming its channel manager. When ConSat rebranded as Play TV last year, she was named general manager of the pay TV company. 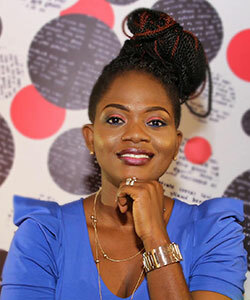 Through sheer hard work, dedication and love for what she does, Adenaike is helping to put Play TV on the map by focusing on indigenous channels, which include: Irawo, 1 Comedy, HFA TV and VOTS. Adenaike believes passion is the key to remaining dedicated to whatever one does. When true passion is felt, she says, one instinctively finds ways to nurture it and ensure that whatever they do yields results.